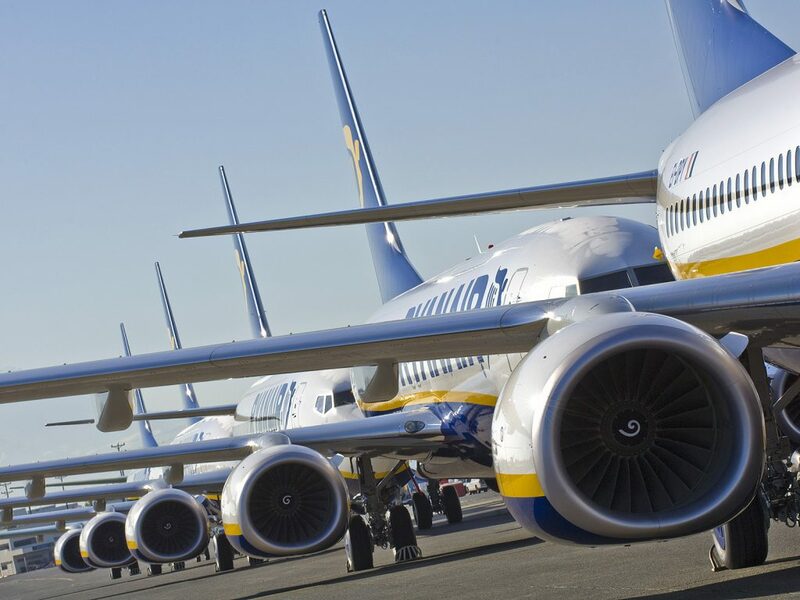 Ryanair today (22 Oct.) reported a 7% fall in H1 profits (“PAT”) to €1.20bn (excl. Laudamotion losses). Average fares declined 3% due to excess capacity in Europe, an earlier Easter in Q1, repeated ATC strikes/staff shortages which caused a spike in cancellations of higher fare, weekend flights. Higher fuel, staff and EU261 costs have offset strong ancillary revenue growth. “As recently guided, H1 average fares fell by 3%. While ancillary revenues performed strongly, up 27%, these were offset by higher fuel, staff and EU261 costs. Our traffic, which was repeatedly impacted by the worst summer of ATC disruptions on record, grew 6% at an unchanged 96% load factor. In August, we increased our holding in Laudamotion to 75%. Despite a very difficult first summer, Laudamotion will carry almost 3m guests this year but will lose approx. €150m in start-up Year 1 exceptional costs. We are working closely with the Laudamotion team who recently launched their S.19 schedule which will see them grow their fleet to 23 aircraft (including 19 A320’s). Laudamotion have reached agreement to return 9 expensive lease aircraft to Lufthansa this winter and will replace those with lower cost, longer term, operating lease aircraft, which are readily available at competitive terms as more Airbus operators fail. We are assisting them to improve cost control, fuel hedging and fleet management which will deliver significantly higher revenues and much lower costs next year as the airline moves towards break-even in its 2nd year of operation. Our investment in Labs continues to deliver strong ancillary revenue growth. In H1 ancillaries increased by 27% to €1.3bn and drove an 8% increase in total revenue to €4.8bn. Key drivers of this growth were improved conversion of priority boarding and reserved seating. Membership of “MyRyanair” has increased to 50m members and the Ryanair digital platform now welcomes over 1bn visits p.a. A major upgrade of our digital platform is underway (website, app & 3rd party ancillary product plug-in) which will facilitate improved personalisation and capacity for traffic growth to 200m p.a. as we rollout relevant ancillary products which fit to each individual customer’s profile and buying patterns.